I'm creating posters for two more of my favorite films. 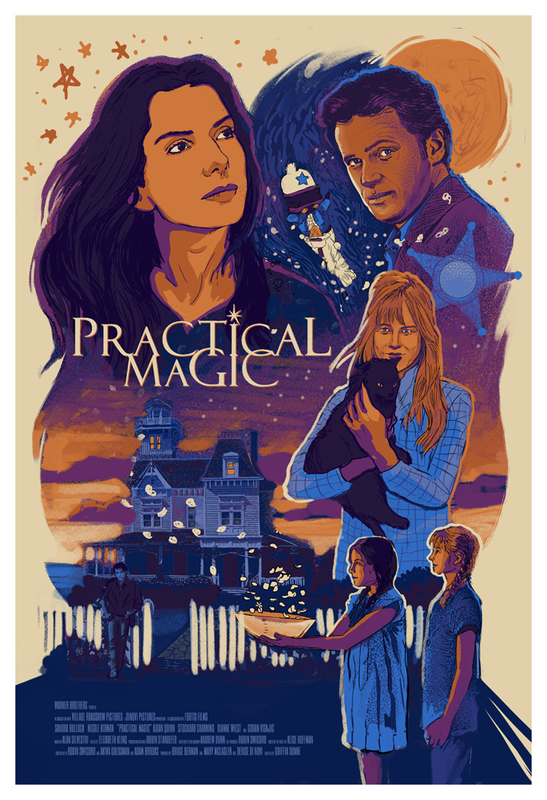 The basic composition for Practical Magic has been underway for a while now but I only recently made some significant adjustments that are helping me to like it much better overall. Still many things to work out but I'm excited about this direction. 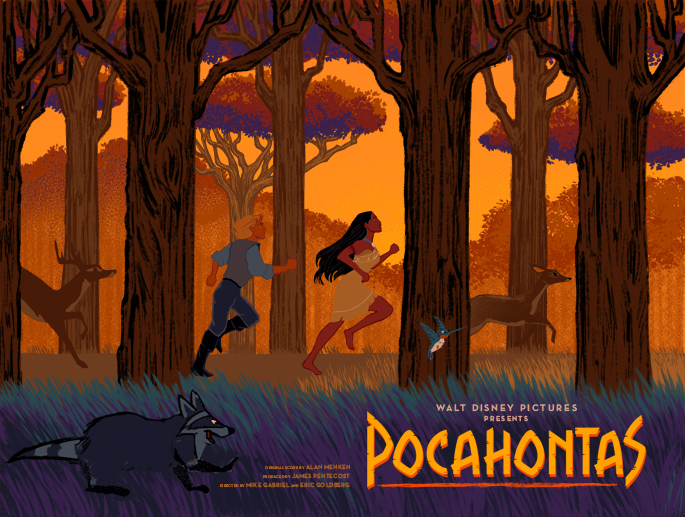 In the meantime I'm chipping away at Pocahontas whenever I have a few minutes at the computer. 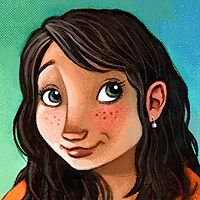 The color difference on this piece between my monitor and my Cintiq is alarming so I'll have to be careful to make sure the colors are accurate before I'm finished.